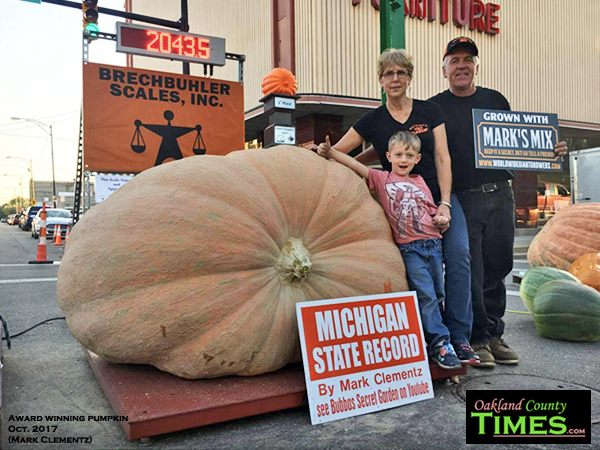 Holly, MI – The look of wonder in people’s eyes as they pass by his giant pumpkin is enough to fuel the passion in Mark Clementz’s heart for growing the biggest and the best. The Holly man has spent years perfecting his personalized organic of natural fertilizer and creating the perfect environment to make his award-winning pumpkins plump. 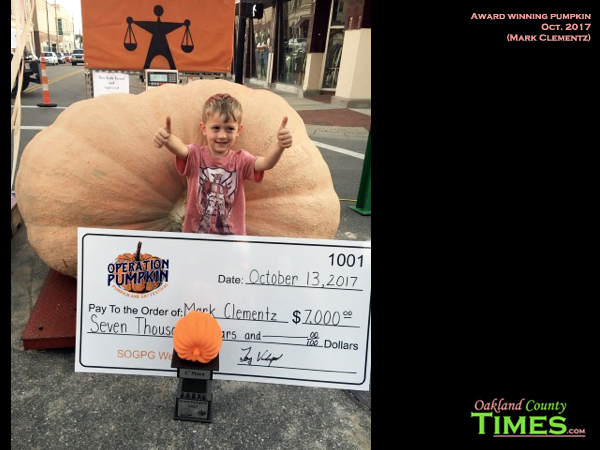 Most recently he won $7,000 and Biggest in the State for Michigan for his 2034.5 lb wonder at the Operation Pumpkin Festival held Oct. 13-15 in Hamilton, Ohio. He often uses his pumpkins to raise money for charity and to show off at festival. But mainly it’s a way to teach and spend time with his grandson Jackson. Clementz and Jackson also love raising chickens together, and were included in a previous Oakland County Times story. Mark’s Mix is an all-natural growing compound that is good for pumpkins and other gardening needs. It is not yet available in stores, but Clementz says that will happen in the near future. “We’re just working on labeling requirement now,” he said. 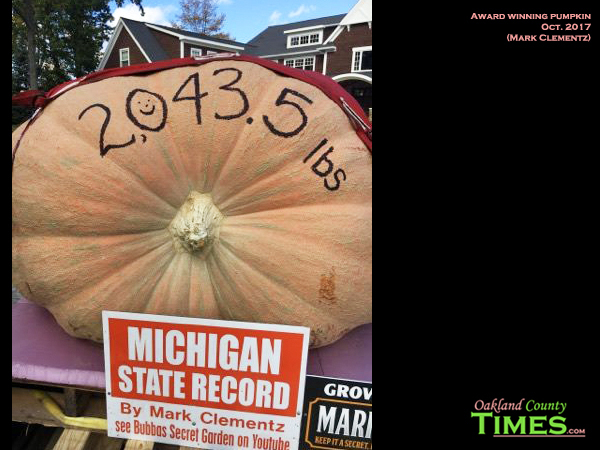 Award-winning pumpkins require great care, and the guys have documented their process on the You Tube channel Bubba’s Secret Garden.